Export « What Happened to the Portcullis? At the beginning of May the Mexican authorities detained the 73,700 dwt Jian Hua with this following on from the earlier seizure of 119,000 tonnes of iron ore in storage at the port. At the end of April the Mayor of Lazaro Cardenas was arrested and accused of kidnapping, extortion and links to organised crime and in November last year federal troops took over the security and customs functions at the port of Lazaro Cardenas and remain in charge today. The main aim of these measures is to eradicate the influence of the violent criminal organisation the Knights Templar, whose base of operations is the south western state of Michoacan where the port of Lazaro Cardenas is located. 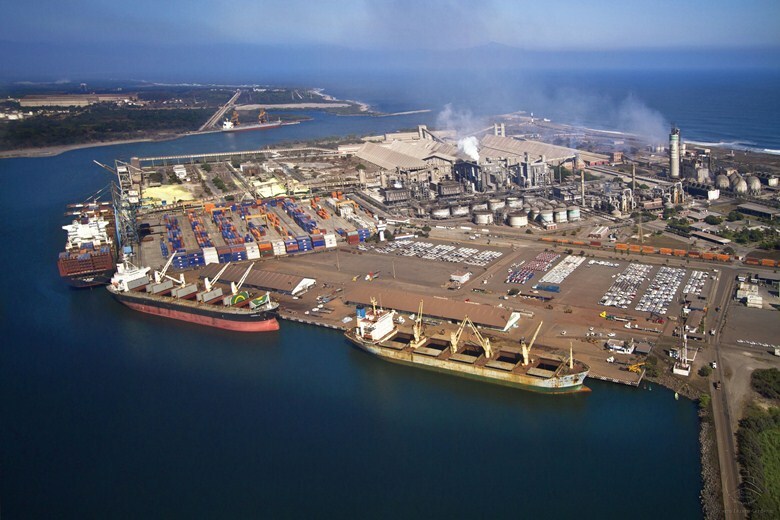 Knights Templar, through the corruption of customs and other officials, has been using the port of Lazaro Cardenas for the extensive import and export of illegal drugs. The iron cargoes are one of many ‘business diversifications’ by the cartel but as the Jian Hua shipment proves are illegal in that the documentation associated with this cargo showed production at a mine that is not yet authorised for legal operation. For years the state of Michoacan has basically been lawless and the area around the port of Lazaro Cardenas has been a battleground between the various drug gangs with the Knights Templar being in ascendancy since 2010. Since, however, the entry of federal agencies into the state, and notably the Mexican navy into the port of Lazaro Cardenas, the influence of Knights Templar has gone into severe decline. The cartel has basically lost control of its biggest business. They have also felt the wrath of a public uprising, the sharp end of which are armed vigilantes backed by federal forces. The optimistic view is that the port of Lazaro Cardenas will become ‘clean’ again with the demise of Knights Templar and the arrangements it had with other drug cartels. The negative view is that another cartel will step into Knight Templar’s shoes and the port will again find itself under external control and home to illegal activities. The lesson here, as independent organisations such as Control Risks emphasise, is that it is a few relatively short steps before a major port gateway can be comprehensively penetrated by criminal organisations. The conditions that created an opening for Knights Templar are not unusual in Latin America in Control Risks’ view. For these reasons, and many others associated with port efficiency, it is very important to have secure and professional agencies active in ports that are specialists in security and border management. It is also important to realise in this context that considerable assistance is available from external agencies such as the World Customs Organisation (WCO) to establish the proper controls and security checks. Further, that it is often only by the use of independent agencies or organisations that comprehensive experience and know-how can be deployed to achieve this – the arms’ length approach which can circumvent internal corruption. If corrupt elements are in place there will inevitably be resistance to change but an external agency forcing the pace of change, based on global experience, will play a major part in overcoming such elements. Taking the WCO as an example, among other things it functions as a forum for dialogue and exchange of experiences between national Customs delegates. The WCO offers its members a range of conventions and other international instruments, as well as technical assistance and training services provided either directly by the secretariat, or with its participation. The secretariat also actively supports its members in their endeavours to modernise and build capacity within their respective national Customs administrations. Export taxes are increasingly becoming a focus of attention in South African trade policy, and the objective of this paper is to review the trade and economic issues associated with these taxes. While they are similar to import tariffs in their effects, export taxes remain very much the ‘poor cousins’ of import tariffs in trade policy circles. While attention is paid to them in many bilateral and regional agreements, the multilateral World Trade Organisation (WTO) has little to say about them other than an awakening to their importance when it comes to negotiating a new member’s accession to the world body. South Africa currently levies an export tax on unpolished diamonds in an attempt to develop local skills and promote the domestic industry, and it is considering a recent department of trade and industry report that recommends that consideration be given to an export tax on iron ore and steel. South Africa has some of the prerequisite market power in the global iron ore trade but not enough to ensure an outcome entirely beneficial to its export trade. The salutary example of South Africa’s competitor India is discussed, as India recently increased its export tax in this sector to 30% and has seen its global market shares plummet. The more interesting sector for South Africa is the ferrochrome and ferrochrome ore trade, as here South Africa does have significant market shares. South Africa has had about a 45% market share over the last three years in global exports, while China has imported around 70% to 85% of this global trade in recent years. Advocates argue that a tax on chromite ore exports will shift the relative economics back to empower South African producers of processed ferrochrome. This sets the stage for an interesting battle between South Africa and China, and one set against the background of South Africa’s recent admission to the BRICS club. If such an export tax is invoked, South Africa needs to be conscious that it at best provides a window of opportunity for the domestic sector to improve its technological efficiency and that it is not a long or even medium-term solution. As of May 10 2013 an amendment to the South African Customs and Excise Act (91/1964) published in Government Gazette 36433, concerns an increase to the threshold for importation and exportation in the absence of customs registration. 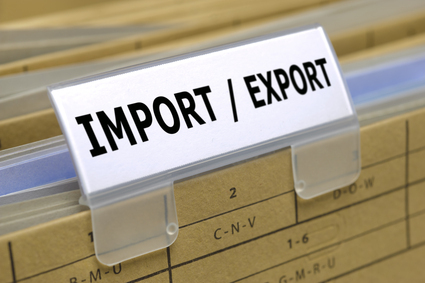 The importer or exporter states its identity number or taxpayer reference number on the customs declaration form. The Ports Regulator of South Africa will soon announce anew port tariffs structure that will include a cut of about 40% in the tariff on exported containers. This step is part of the Transnet National Ports Authority‘s strategy to reduce South African port charges, which are seen as among the highest in the world, because it erodes the competitiveness of South Africa’s exports. This announcement was made during a colloquium on the impact of administered prices on the manufacturing sector. The purpose of the colloquium was to get all the stakeholders together to try and find a solution to the challenges. It had become clear that the stakeholders did not have a regular opportunity to engage on the issue of administered prices. In addition to the new tariffs, the authority is proposing a reworking of its tariff structure, which if accepted by the regulator, will see higher charges for bulk commodities, up to 68%. South African port tariffs were at least 8.7 times more than the global average for containers and 7.4 times the global average for automotive cargo. Transnet’s CEO said the shift in the tariff burden was aligned with the government’s manufacturing growth strategy. The mining sector had been hugely subsidised by a tariff structure weighted in favour of raw exports, at the expense of the manufacturing and agricultural sectors. Department of Trade and Industry has also welcomed the expected tariff reduction, saying it would be a major boost for exporters. One would therfore like to believe that these tariff reductions will be extended to agriculture and agro-processing. Hopefully ocean carriers will not see this as an opportunity to increase their tariffs! 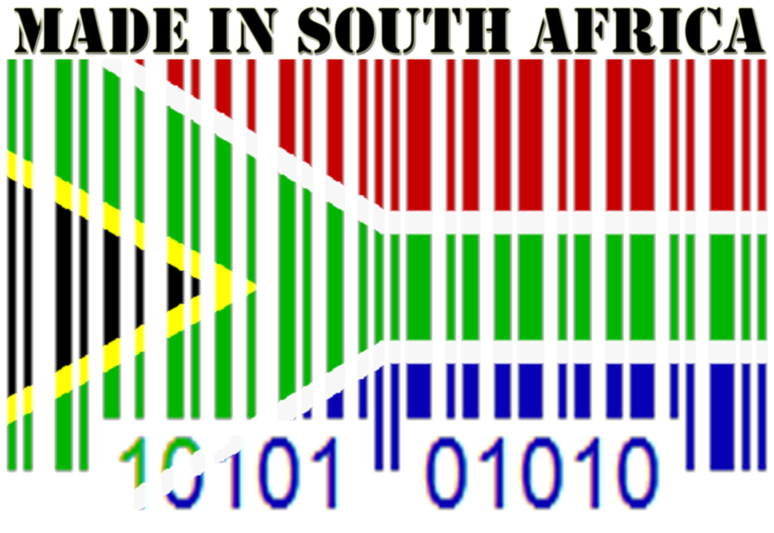 Best SA Exporters is an online based business, created in order to promote export-ready Southern African goods and services to the international marketplace. In essence, Best SA Exporters role is to assist in growing your international trade, resulting in foreign direct investment and national job creation. Clients are advertised and promoted through a highly visible Best SA Exporters website, as well as through popular social networking presence on Facebook, Twitter and LinkedIn. Adding on to these services, Best SA Exporters now offers an international trade related company the opportunity to promote its goods / services to the Best SA Exporters database of approximately 8000 online subscribers. Trade leads received for each campaign will then be collated and supplied exclusively to you as an advertiser. Something worthwhile for exporters to look into? Its been a while since I penned some comment on the customs modernisation programme in South Africa. Amongst the anxiety and confusion there are a few genuine ‘nuggets’ which I would hope will not go unnoticed by the business community. With stakes high in the area of business opportunity and competitiveness, such ‘nuggets’ must be adopted and utilised to their fullest extent. Lets consider two such facilities. The widespread implementation and adoption of electronic customs clearance has allowed brokers to file declarations for any customs port from the comfort of their desks. Brokers can now consider centralised operations especially for customs clearance purposes. Likewise the withdrawal of the annoying goodwill bond should also come as a welcome decision. Hopefully this may translate into cost-savings over time. As of 11 August 2012, the business community will also be glad to learn that imported goods which do not fully meet all national regulatory requirements can be entered into bond on a warehouse for export (WE) basis. While this may not sound like anything new, the provisions which come into effect, will accord the identical treatment of such goods as if they were being entered for warehousing. 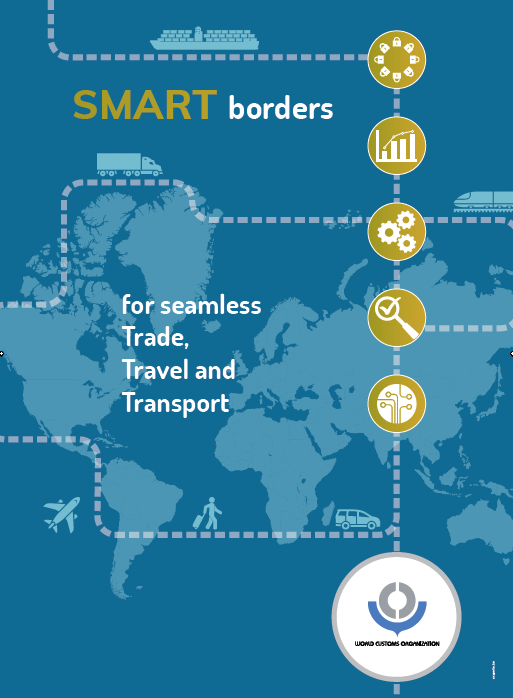 In short the new provisions will allow more flexibility with the ability to re-warehouse WE goods; the ability to change ownership on WE goods; and the ability to declare WE goods for another customs procedure.These provisions can be considered a relaxing of the original approach which mandated compulsory exportation. All government regulatory requirements (i.e. permits, certificates, etc.) will however be strictly enforced upon clearance of WE goods for home use or another customs procedure. The apparent relaxation forms part of ongoing alignment of customs procedures with the Customs Control Bills, which are in the process of finalisation. For those who have enquired about the followup to the national transit procedure, I have not forgotten about it. The ‘touchy’ nature of the subject requires a mature and fair response. Please bear with me. Having difficulty understanding economic zones? You can be forgiven if you have a clouded understanding of what an economic zone is. Countries develop different types of free economic zones (FEZs) as a tool to generate employment opportunities, promote and diversify exports, increase technology transfer and attract investment flows. Developing and emerging economies use FEZs as “economic laboratories”, “incubators” or showcases of a generally strong enabling environment and a competitive market for investment. In order to achieve the intended objectives of zones, governments offer a range of incentives from fiscal to regulatory such as export duty exemptions, streamlined customs and administrative controls and procedures, liberal foreign exchange policies and income tax incentives. Governments have been experimenting with the use of policy tools in ensuring the effectiveness of their zones; however they have not always been successful. Nowadays, governments are trying to move away from the traditional zones with the traditional set of objectives and policy tools to either more comprehensive or sector specific zones. In addition, they are trying to incorporate other development policy instruments to their policy packages to tackle other issues such as skills development, rural development and green growth while achieving the traditional objectives. The first type of FEZs mostly took the form of free ports – customs free areas within seaports offering little more than warehousing and trade facilities. Over time, some free ports developed into customs-free zones in which light manufacturing and other processing took place. The next step was the development of export processing zones, which encourage more complicated manufacturing operations with the purpose of exporting. Later, special economic zones (SEZs) and specialized zones (SZs) evolved. SEZs offer a wider array of sectors including manufacturing and services that target both foreign and domestic markets. In addition, they permit on-site residence and provide all facilities to employees and hence could be viewed as standalone cities. On the other hand, specialized zones (SZs) focus on specific industries by providing the appropriate infrastructure and building on the concepts of clusters. The terminology applied to free economic zones, in literature and common usage, is highly confusing. Words like “free zones”, “free trade zones”, “customs-free zones”, “special economic zones”, “export processing zones”, etc. are in practice used almost interchangeably. This reflects the implementing authorities’ linguistic preferences as much as functional differences between different kinds of zones. Free trade zones (FTZs; also known as commercial free zones): are fenced-in, duty-free areas, offering warehousing, storage, and distribution facilities for trade, trans-shipment, and re-export operations. Export processing zones (EPZs): are industrial estates aimed primarily at attracting export-oriented investments. 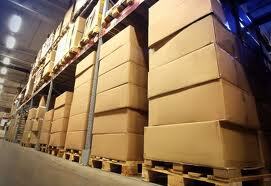 They cover usually a wide array of manufacturing industries. Private zones/Single factory processing zones: provide incentives to individual enterprises regardless of location. Special economic zones (SEZs): are larger estates and could be considered cities on their own. They usually cover all industrial and service sectors and target both foreign and domestic markets. They provide an array of incentives ranging from tax incentives to regulatory incentives. In addition, they permit on-site residence. Specialized zones (SZs): targeted at specific sectors or economic activities. Examples of SZs include science/technology parks, petrochemical zones, logistics parks, airport-based zones, and so on. They may restrict the access of companies in non-priority sectors, and their infrastructure is mostly tailored according to their sectoral targets. The distinction between the different kinds of zones must involve an element of judgment and sometimes zones fall in between categories. South Africa’s Industrial Development Zones (IDZs) combine elements of both 1 and 2 above. Most free zones restrict the access of certain categories of investors, without necessarily being classified as specialized zones. Also, it is not very clear how “special” a free zone’s regulatory environment must be before it can be classified as a SEZ. FEZs in their general definition can include a combination of characteristics from all the previously identified FEZs. I guess that while you still dont have a clear understanding of what an economic zone is, I hope the above has shed a little more light on the subject? Following my previous post on ’empty container depots’, its time to dispel a long time myth basically perpetuated to safeguard the cargo handler’s imagined responsibility that goods delivered to be packed for export must be first cleared through Customs. 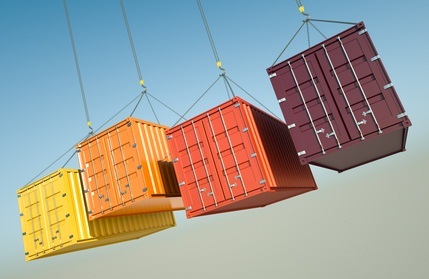 There is no current law, rule or policy which supports this notion, and neither is there any liability on stuffers, consolidators, container depot, transit shed operators, empty container depot operators to ensure that goods they receive under instruction to pack for export have been pre-cleared with Customs. Let’s first consider what a Customs export declaration implies. Generally, a declaration for export is lodged with Customs subsequent to the conclusion of a sales agreement between a local supplier and a foreign buyer via the commercial bank. The forwarding agent will arrange foreign shipment with a carrier, obtain commercial documents (pro forma invoice, required regulatory permits/certificates, etc.) 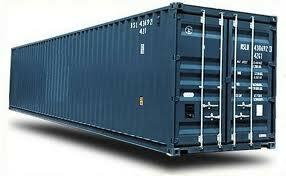 and prepare a declaration for submission to Customs on behalf of the exporter. The acceptance, by Customs, of an export declaration is no more than a formal notification of an exporter’s intention to export – nothing more. It is therefore untrue that an ‘approval to export’ or ‘release for export’ notification is the last word from Customs. Moreover, it is also incorrect to reason that Customs has no right to intervene in a ‘transaction’ subsequent to clearance. In essence the notion of an export ‘consignment’ only materialises once the goods are packed, sealed and ready for delivery to the point of international cartage ; or, more accurately, when the ‘secured goods’ are reported for delivery to the place/port of export. Only at this point can risk be evaluated in all its dimensions and a final decision by Customs (load/no-load) be pronounced. The advent of advance information, post 9/11 and subsequent proliferation of ‘secure export’ initiatives means that ‘risk’ in relation to international cargo movements encompasses three key areas – information, conveyance and cargo. To merely accept whats declared on the export is insufficient for Customs. Other potential risks involving a multitude of people with a lesser liability, little appreciation for accuracy, and little or no sensitivity towards the safety and security of goods in their custody may compromise the ‘compliant’ intent of the exporter and clearance broker at time of initial customs clearance. It is therefore plain to see why SARS Customs is modernising not only its procedures and systems, but also its enabling legislation. A new export clearance and cargo reporting dispensation is envisaged, to be accompanied by the licensing of cargo handlers and their premises and the implementation of a seal integrity programme. Supply chain security in the maritime environment is underpinned by the need for seal integrity. The road to paperless trade eliminates much of the paperwork traditionally required for customs clearance and cargo reporting. The movement of ‘containerised’ import and export cargo does, however, require physical validation of the ‘integrity’ of cargo from its point of dispatch to point of delivery at destination. This is not wholly a customs requirement but at the same time one which any legitimate trader would expect in respect of the safe and secure transportation of his/her cargo. Technology developments in the logistics industry see many forms of automated gate controls and inventory management. However, if this technology does not support a mechanism to ensure the validity of means of transport, conveyance equipment and seal, then there exists a risk of a breach in the movement of such goods. From a customs perspective, all parties in the supply chain are both vulnerable and responsible for maintaining such integrity. For this reason, the introduction of Authorised Economic Operator (AEO) programmes and security programmes require a customs administration to implement seal integrity. SARS already contemplated the need for this through provision in the Revenue Laws Amendment Act, introducing Section 11A – Seals and sealing of containers and sealing of packages and vehicles. Formal promulgation of this has not occurred due to the fact that it is dependent on the licensing of logistics operators, its self a modernisation deliverable. To illustrate at a practical and operational level the import of seal integrity, please refer to an article, authored by Andre Landman (SARS), place under “Downloads”, titled “Seal Reporting Requirements for Containerised Goods“.